Get going, the conditions are good and the weather is dry with sunny spells. The river is starting to drop following all of the recent rain, although more rain has been forecast. The Eden is still up and there has been even more rain overnight ,so i think it will rise more yet !! Have you considered taking up kayaking ?? Or ark building ?? The Eden came up again yesterday and is still up now to a level to high for fly fishing. The weather is showery and breezy. It's raining again but at the moment the water level is ok and it is running clear. The river conditions are good at the moment but there has been a fair bit of rain overnight and at some point it is going to find it's way into the Eden and increase the level, plus there is more rain on the way. 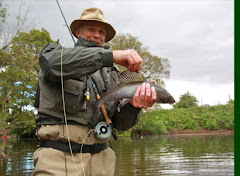 The Eden is fishable today in areas and the water has a slight tinge of colour in it. More heavy over night rain has brought the river back up again, although it appears to be dropping slightly at the moment. There have been several heavy showers this morning so it may well creep back up again. 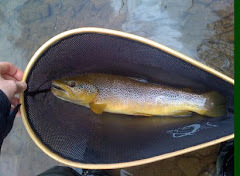 The River is up again and is unfishable with fly in most areas. The weather is dry/wet/sunny/windy, Pick any of those in any order and that is the weather. The Eden has dropped to a good level and the weather is overcast and showery. The Eden has dropped and is now fishable at kirkby, it will be a bit higher downstream but will be ok. The weather is dry with sunny spells. The level is still not down and at the moment the Eden is running a beer colour and I think in most places downstream of Kirkby will be a bit higher, so finding a good spot may be difficult, but possible. The Eden valley has had a fair bit of rain in the last few days which brought the Eden up very high yesterday and it is still on it's way down now. The weather is dry and overcast at the moment !! Loads more rain has fallen overnight, so i think the Eden will start coming up again in the next couple of hours. The weather is crap . The water just keeps coming and leaving the river a bit high for fishing with a fly, you may find spots but it will be more difficult. There has been plenty more rain and the river is up and down all the time. 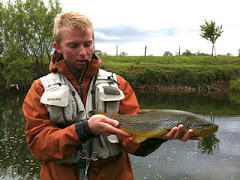 At the moment it is not at a good level for fly fishing, but worming or spinning should be good at this level. There has been a fair bit of rain recently and as a consequence the Eden is up about a foot on the norm and is quite dirty and i think it will be even higher further downstream. Not good fly fishing conditions. The Eden is at a fishable height, but slightly coloured and may be a bit higher downstream near musgrave and warcop. The weather is dry and overcast at the min. The heavy rain last night is finding it's way into the Eden and it is rising at the moment, but it is fishable. How high it will go is your guess. The weather at the min is overcast and dry. The Eden has dropped to what you would call a "normal level " and the weather is dry and sunny this morning. The Eden is running at a nice height with a bit of colour in it and the weather is overcast and showery at times. There was some very heavy rain yesterday which has brought the Eden up overnight and it is now dropping. 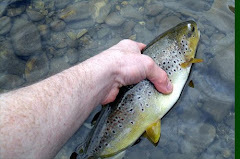 It is fishable and it has a tinge of colour in the water, but it may be a bit high downstream of the main tributaries. Weather is forecast to be showery again. All the heavy showers we have had have found there way in the river and it has come up 4 to 5 inches to a good height with a tinge of colour in it. The weather is much cooler with showers. There was some heavy rain yesterday and it has put a small amount of fresh water in the Eden, it's got to help ! The weather is dry with sunny spells and showers forecast. The Eden is still low and the weather is warm with sunny spells and patchy cloud. There has been some rain during the night but it won't affect river levels. The weather is overcast and misty at the moment.